Are you looking for a moving company Miami? Planning for a relocation, whether it’s residential, commercial, short distance, or long distance, can be quite stressful. Hiring the services of an unreliable moving company can result in a nightmare. Sensible decision-making and planning are very important; therefore, you must hire the services of a reliable moving company like South Florida Van Lines. We can relocate your furniture, fine arts, and other valuable belongings safely to the new destination. South Florida Van Lines offers a wide range of moving services dedicated to providing the best protection for your valuable items. No matter how much distance your relocation may take you. Our movers are fully trained professionals who have years of knowledge and experience in moving business. From providing packing supplies to loading/unloading, and from disassembling/assembling to safe transport, we have customized services available to suit all your moving needs. We provide free, accurate estimates and custom quotes. Our representative will visit your home and offer a quote according to your budget. With our flexible pricing options, you have plenty of choices regarding what works best for you. Our representative can help you with the planning of your relocation, packing/unpacking, loading/unloading, and delivery dates. 100% customer satisfaction is our top priority. We help our clients in any way we can and facilitate any changes throughout the move. 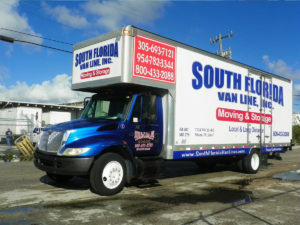 At South Florida Van Lines, we go the extra mile to ensure that you get the best local moving experience. With our reliable moving service, you can be confident that your residential or local move will be handled with great care. our moving company Miami specializes in long distance moves. We understand that long distance moving requires additional planning and extra care to transport your valued possessions to another state or country. That’s why we have the most experienced movers who use superior packing, loading/unloading, and transport techniques to make sure that your belongings are relocated safely. Our long distance moving in Miami comes highly recommended and is one of the best in the industry. At South Florida Van Lines, we have the skill and knowledge required to safely move a piano. Being experienced piano moving experts, we understand the intricate and unique nature of piano, and we can assure you to transport it safely to you wherever you want. 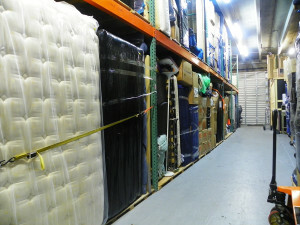 We offer a full-service move to storage solutions to Miami residents. Our storage units are clean, secure, and offer strong protection for your valuable items. When you hire our service for short-term or long-term storage, we pick up your selected items from your doorstep and store them in our air conditioned storage facility. Furthermore, we provide a specified inventory list that consists of all the items that are moved from you home to our storage facility. This guarantees easy identification and successful retrieval of your personal belongings. Call us today at 305-912-2338 or visit Movers Quote.